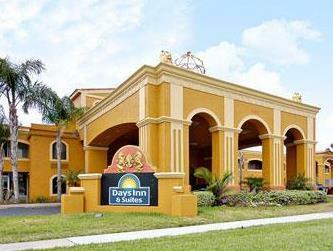 ﻿ Days Inn by Wyndham Orlando/International Drive, Orlando (FL) | FROM $41 - SAVE ON AGODA! 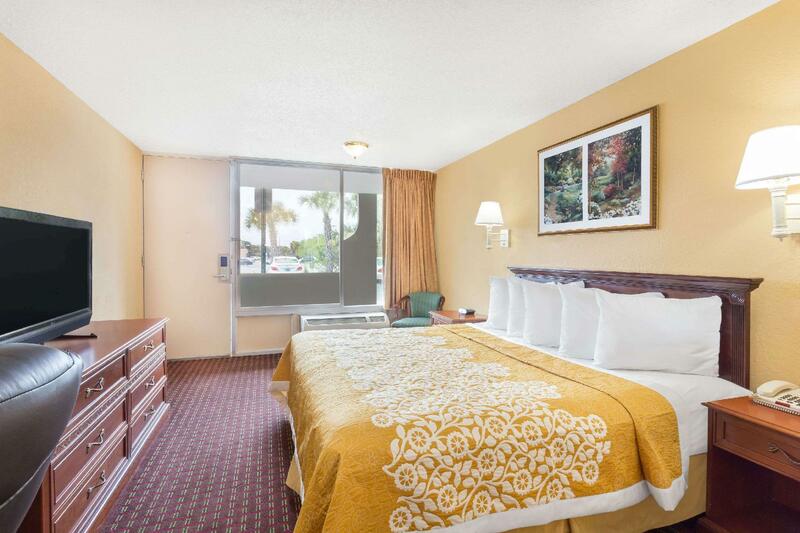 "Good location, provided a very limited shuttle through a dif..."
Have a question for Days Inn by Wyndham Orlando/International Drive? 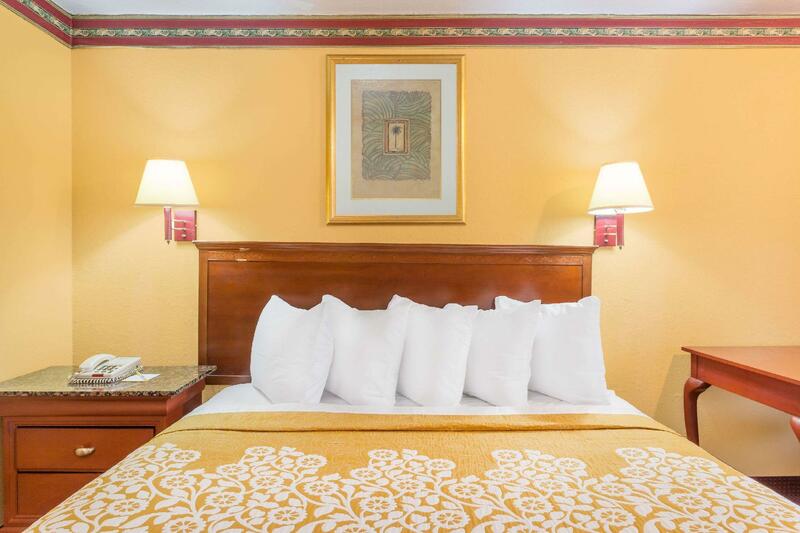 Located 2.5 km from Universal Orlando Resort, this Orlando hotel offers a free transfer service to area theme parks including Walt Disney World. An outdoor pool are free property-wide Wi-Fi are available. 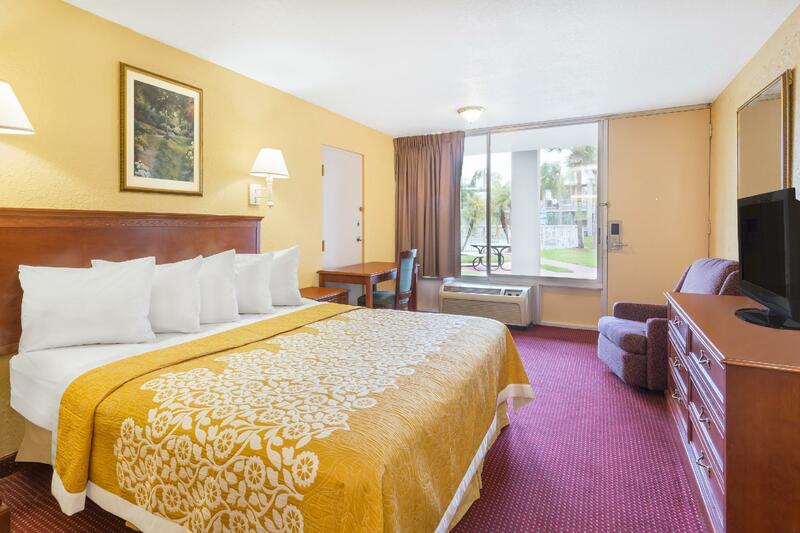 A satellite TV and coffee-making facilities are provided in all rooms at this Orlando Days Inn on International Drive. A microwave and small refrigerator are provided upon request for an additional fee. 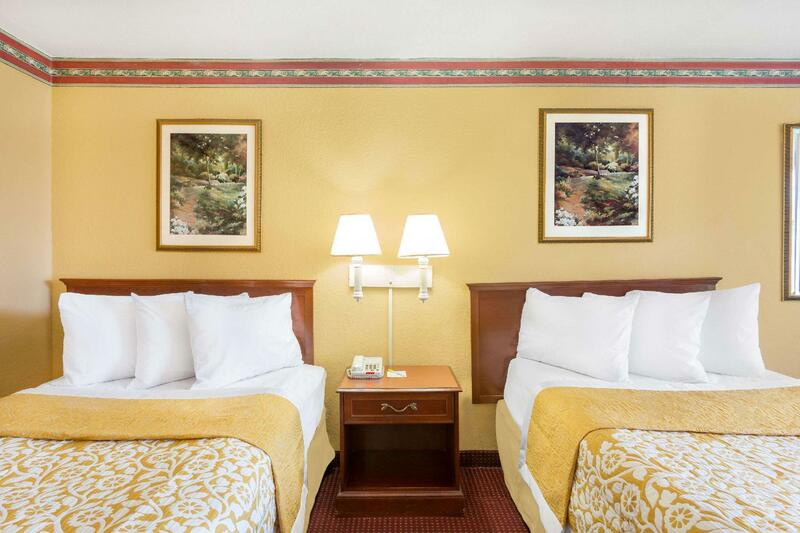 Guests can buy souvenirs at the on-site gift shop, and a launderette is available for added convenience. 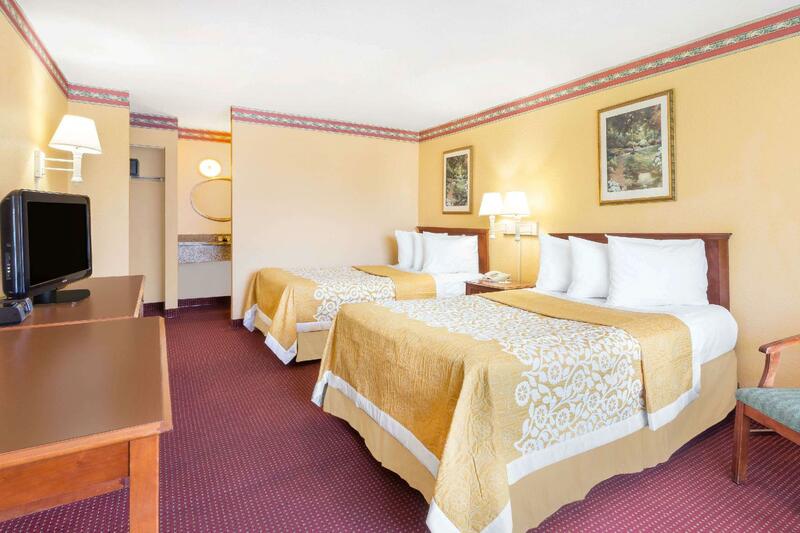 Days Inn Orlando International Drive provides free parking as well. 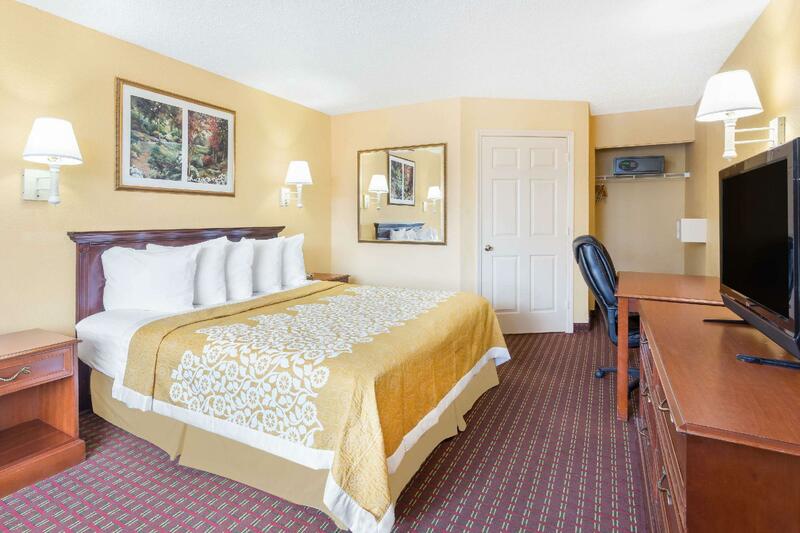 Orlando Premium Outlets on International Drive is 2.7 km away from the Days Inn Orlando/International Drive. Orange County Convention Center is 4.7 km from the property. Upon check-in photo identification and credit card is required. All special requests are subject to availability upon check-in. Special requests cannot be guaranteed and may incur additional charges. Guests are required to show a photo identification and credit card upon check-in. Please note that all Special Requests are subject to availability and additional charges may apply. A security deposit of USD 100 is required upon arrival for incidentals. This deposit is fully refundable upon check-out and subject to a damage inspection of the accommodation. Would not even give it a one star. Door had been kicked in more then once, shower was broke, repairs was done but looked really bad. Room smelled really bad, headboard was bolted to wall and the bed wasn’t attached. Table was broke and the pool was super small. Aweful place!! No matter what you always have to move rooms several times. Carpeting is so nasty you cannot walk barefoot in the room. The bed linen has stains everywhere as well as the towels and rags are unusable as they have hair and old blood stains and some other unnamed stains on them. The a.c. makes noise all night and the shower continuously drips. First, the hotel charges a service charge of $4.95 per a night that is not disclosed here. I thought I had paid in full Agoda but was charged extra at hotel. Second, the wifi for the most part seldom worked inside my room. I would have to go outside to get a connection. This also included a cell signal. This made doing any work impossible. The major hidden surprise was cockroaches. This was confined to the bathroom I thought until I woke up in middle of night a found one on the night stand. Needless to say I left the next day because of this. I had stayed at this hotel previously and had none of the issues I had this visit. Needless to say I would not stay again. The room was not very clean, pubic hair in the shower, ceiling above bathtub and behind toilet were poorly patched and not repainted. Room door had to be kicked to securely closed. King sized bed mattress was soft and lumpy. Not a good experience at all... On the plus side, convenient location if you are going to Universal Studios and don't want to spend $300 to $400 per night on a room. A unica coisa boa é a localização. Pessima limpeza, tinham muuitas baratas. Quarto com cheiro de velho e com aspecto mal cuidado. Passaram dias sem fazer serviço de quarto. Não recomendo! Gastem um pouco mais e se hospedem melhor! Não voltaria jamais! The room is alright. A little bit old but you get what you paid for.